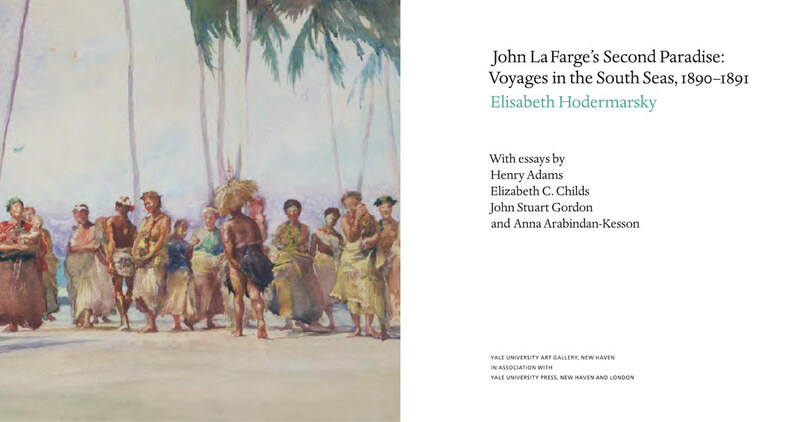 In 1890, John La Farge (1835–1910) and his close friend, historian Henry Adams, embarked on a journey to the islands of the South Pacific, where the artist experienced a period of great creative output. 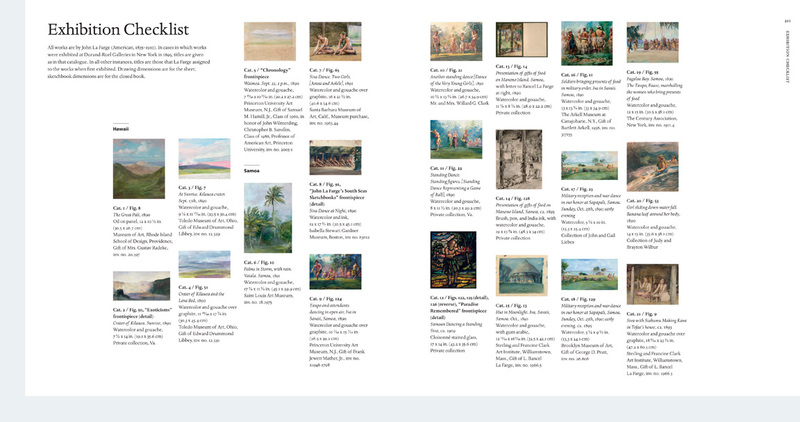 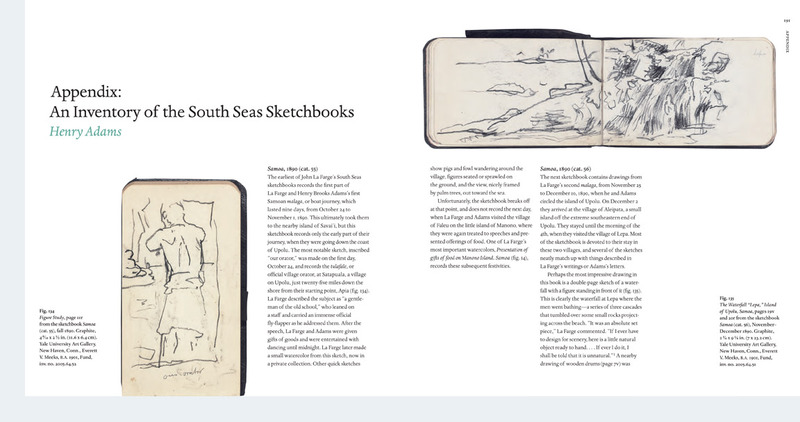 This book showcases many of the most important oils, watercolors, and sketches to come out of La Farge’s two-year voyage to the islands of the Pacific and Indian Oceans and is the first to place the artist’s South Seas work in the broader context of exotic travel by artists and writers of the 19th century. 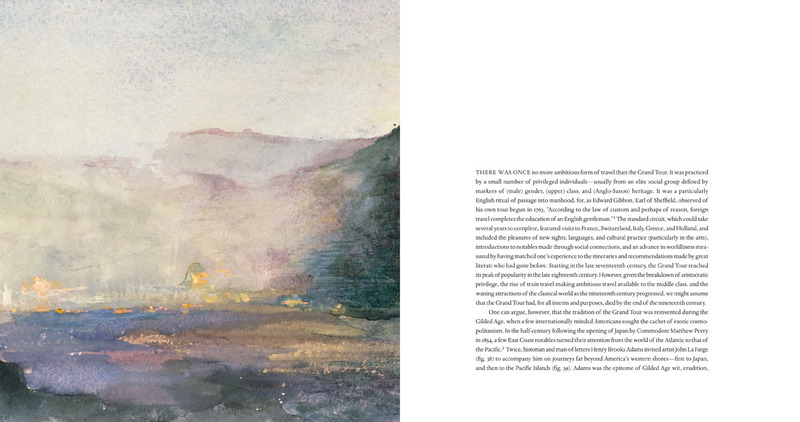 The essays in John La Farge’s Second Paradise explore the artist’s reemergence as a plein air landscape painter, his use of the sketchbook, and his late decorative work, which was reinvigorated by the experience of light and color he discovered in the South Seas. 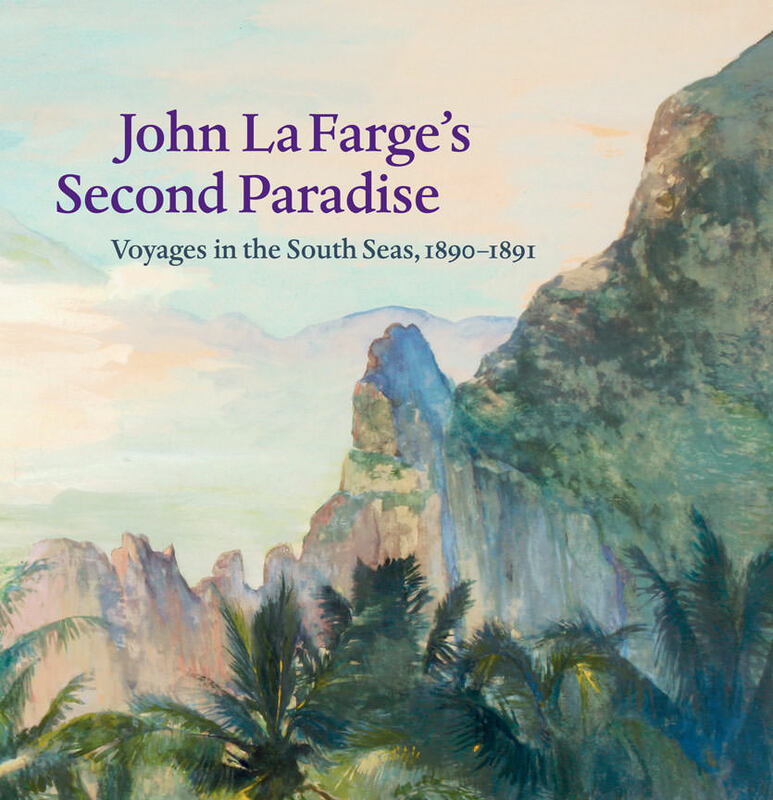 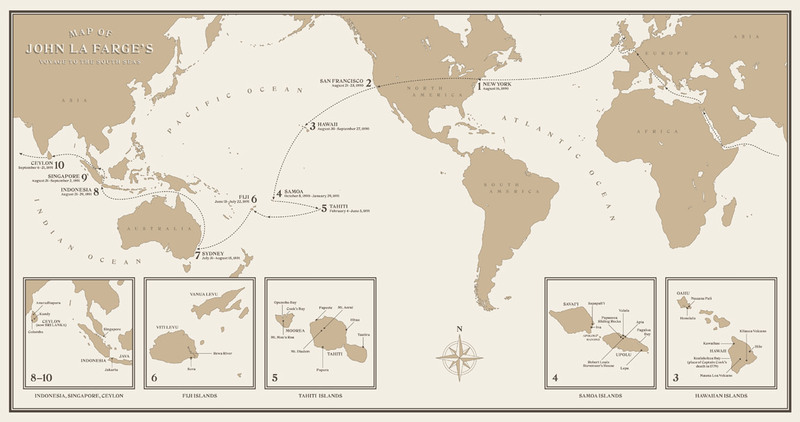 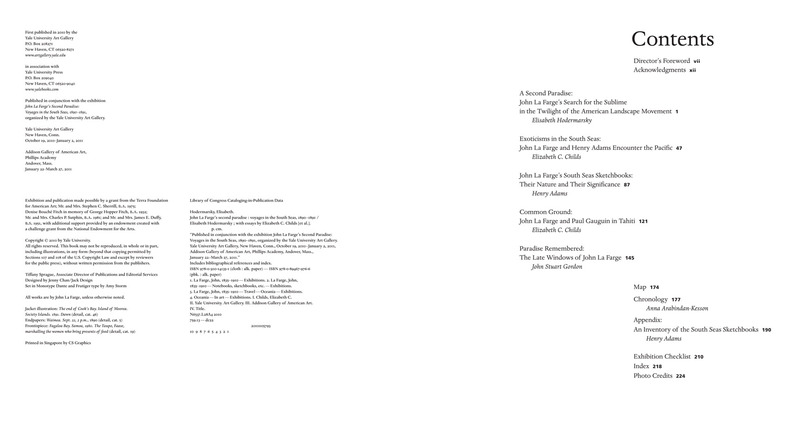 Further discussions examine the prevailing notions of tropical paradise perpetuated since Captain Cook’s “discovery” of Polynesia in the late 18th century, and offer the first extended comparison of the careers and art of La Farge and Paul Gauguin, who arrived in Tahiti only days after La Farge left in 1891. 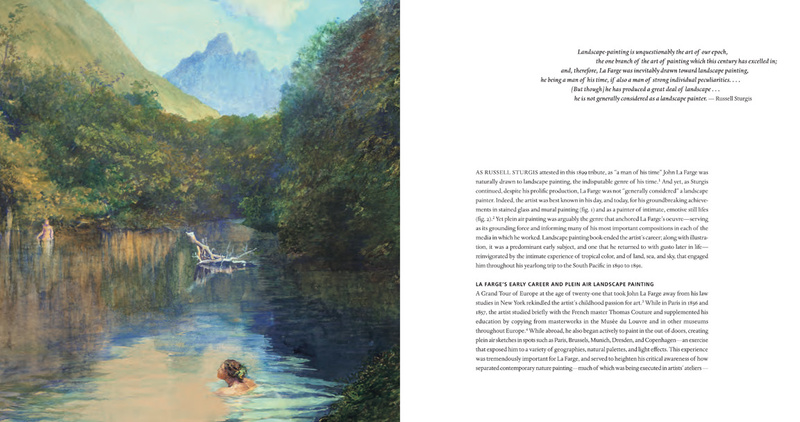 Featuring many previously unpublished works, this beautiful book is a major contribution to the study of La Farge’s life and art.